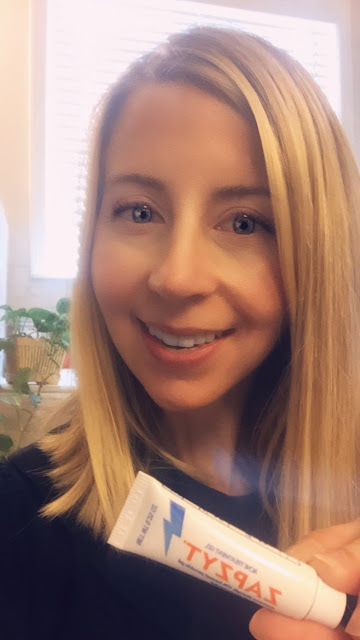 Pammy Blogs Beauty: Spring/Summer Morning Skincare Routine with ZAPZYT and more! 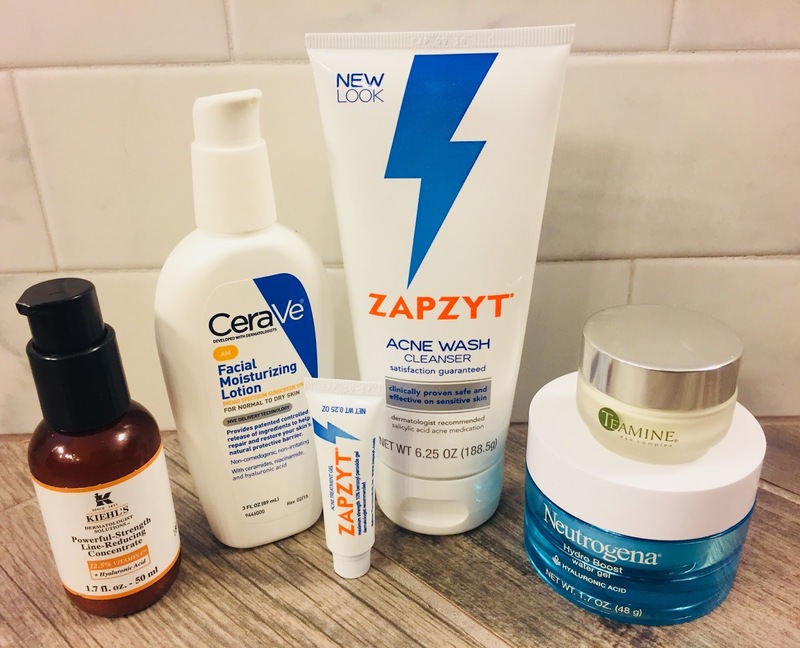 Spring/Summer Morning Skincare Routine with ZAPZYT and more! All opinions are my own . Hey lovelies! I just thought that I would check in with my latest update in my skincare routine. There have been many changes! I always tend to shift my skincare routine a bit for the Spring and Summer. Plus, I have recently started a topical prescription retinod in the evenings (more on that in a future post. I recently started tretinoin.). So, I have really had to up my game with my skincare routine across the board to combat dryness and also to cater to my skin's sensitivities secondary to the retinoid treatment. Now, I am still product testing for the blog. So, this routine can very depending on my product testing. However, with that said, this routine is what I am always returning to in-between product testing. Before diving into my routine, lets chat a bit more about my skin. I have sensitive combination skin. Typically, I am normal-to-oily. However, with the addition of a topical prescription retinoid, I am leaning more towards dry currently as my skin adjusts. Hopefully that will calm down soon. However, I am experiencing some dry patches and flaky skin here and there. It is not too bad (and I think the products I am using are really helping to alleviate the dryness and flaky skin!). I am somewhat acne prone, too. I tend to get mild breakouts during "that time of the month" in my t-zone area and primarily on my chin. My eye area is super sensitive and I am plagued by dark under eye circles. My first step in my skincare routine is to cleanse with a mild and gentle Salicylic Acid-based cleanser. Zapzyt is the perfect choice for me! It is literally my favorite Salicylic Acid based cleanser for a number of reasons. It is very gentle. It does not over dry my tretinoin-dried skin. It is fragrance-free. Last, but not least, it is extremely affordable! You honestly cannot go wrong with this cleanser. Salicylic Acid is delivered beautifully to the skin from the Zapzyt cleanser. It works wonderfully to help combat breakouts while also providing gentle and mild exfoliation. To use, I just apply to my damp facial skin in the mornings during my shower. I let it sit on my face for about 1-2 minutes and then I rinse off with tepid water. What else do I love about Zapzyt Acne Wash Cleanser? It is honestly just the best Salicylic Acid based cleanser that I have tried (and I have tried many). It provides real acne skincare solutions for real people. I feel that I can effectively treat my breakouts and prevent the future problem zits with Zapzyt! 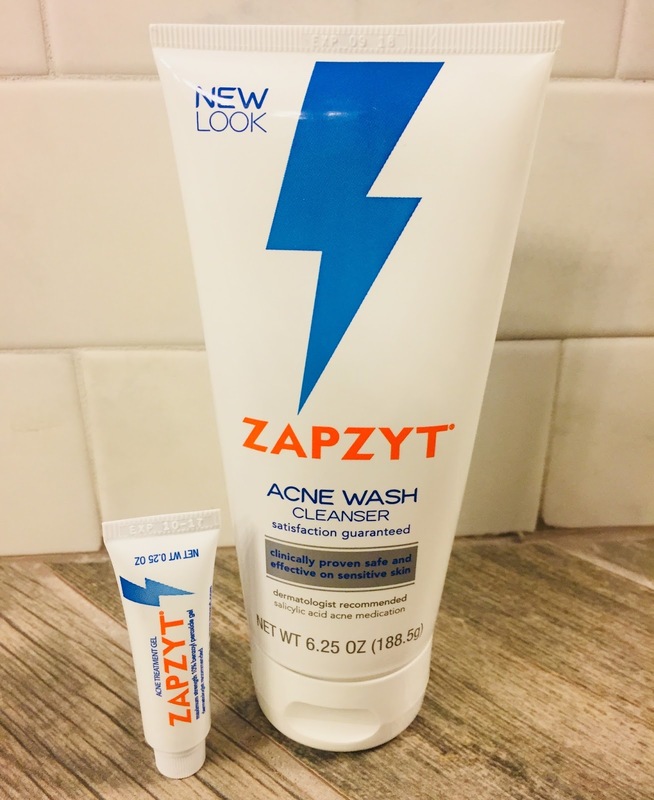 Zapzyt was easy to add to my skincare routine and it effectively treats my problem zits! This is one of the newest (and best) additions to my skincare routine! Hyaluronic Acid is a fabulous ingredient for combatting transepidermal water loss in the skin. It holds on to water and draws it onto the skin. It actually holds up to 1000x its weight in water! Water loss leads to dryness and this extra step helps to combat that issue. I simply apply a dab of this to my wet face after cleansing. Since I was my face in the shower. I apply this as soon as I step out of the shower to my wet face. This product is amazing! My skin seems much more hydrated since adding this. Plus, it layers nicely under the rest of my skincare routine. I use this in the evenings as well. 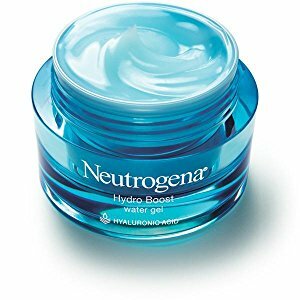 I am in the process of exploring the whole Hydro Boost line from Neutrogena and it really is fantastic!!! More Hydro Boost reviews coming soon! I don't use this product every single day. However, about 3-4x a week, I apply this benzoyl peroxide based treatment gel from Zapzyt to my entire t-zone area. I let my skin air dry just a bit after applying the Hydro Boost to my wet face and then apply the Zapzyt gel. This works wonders to zap the problem zit and to prevent future breakouts, too! Plus, did you know that this acne treatment gel is water based and doesn’t contain alcohol like the competitive products (which only irritates and adds to the redness of the already red/inflamed zit area)? So, it really is my go-to treatment product...especially when my skin is dry and irriated already. 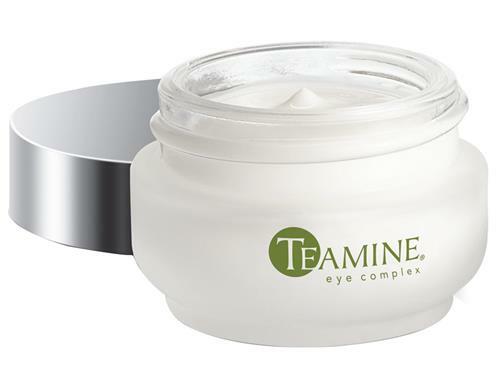 Sodium hyaluronate (hydrates and moisturizes), and Mica, silica and titanium dioxide (instantly brightens skin). Overall, I am super pleased! I am curious to try out the Teamine Concealer as well. If I do, I would switch the eye cream to the evening and use the Teamine Concealer in the morning as a 2-in-1 eye cream/concealer. 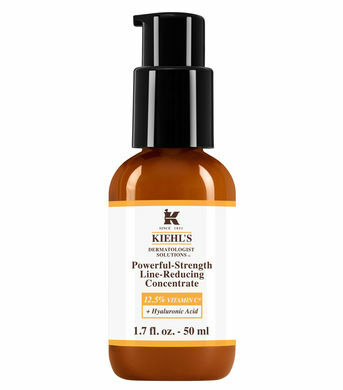 This serum really is powerful with a 12.5% concentration of Vitamin C. Plus, it has the powerhouse ingredient that I love: hyaluronic acid (a new addition to the product during its recent re-formulation). I am a HUGE fan of Kiehl's skincare and this is one of my very favorite products from the brand. It works wonderfully to brighten the skin and give an overall radiance boost. It adds in a bit of extra hydration, too, before I apply my sunscreen. Plus, you get the antioxidant power and protection from active Vitamin C. I really believe that everyone needs an antioxidant product in their skincare routine. So, morning is the time that I can apply it so that it won't interfere with my night time treatment products. Note: when my skin is feeling a bit more on the irritated side, I skip this product as it can sting a bit if I am overly irritated. Otherwise, I have no problems with this. I just love it! This is the most important step! Everyone must use a sunscreen...daily! This is of the utmost importance for everyone...but even more important now that I am on prescription topicals as they increase sun sensitivity (and I think that Salicylic Acid increases sun sensitivity as well). I will fully admit that I always switch up my sunscreens...especially since my favorite sunscreen by Belli Skincare was recently discontinued. So, I am looking for recommendations here! 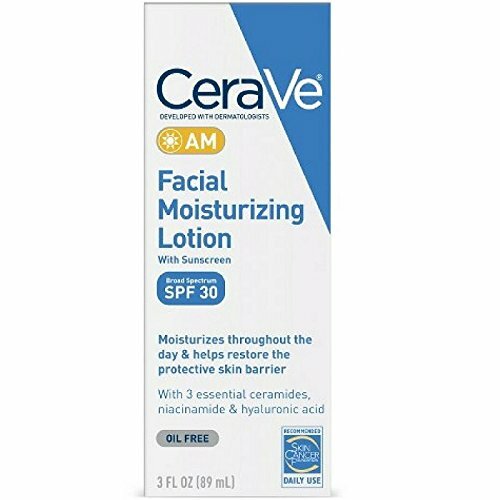 Right now I am using CeraVe's Facial Moisturizing Lotion with Sunscreen SPF 30. Now, I do believe that this product has been reformulated or perhaps just re-packaged. However, this is the version that I am currentlyn using. I like CeraVe products as they contain ceramides which are despirately needed to combat dry skin! I adore CeraVe products and use a cleanser by CeraVe in my evening skincare routine every night! So, that is it ya'll! That is my morning skincar routine. Key products with effective active ingredients like the Salicylic Acid in the Zapzyt Acne Cleanser and the Benzoyl Peroxide in the Zapzyt Ance Treatment Gel make a huge difference in my skin! I would love to hear about your skincare routines!